Job hunting for the right fit can be a long, tiring process — but it doesn’t have to be! If making LinkedIn connections hasn’t helped you make your next big move, there are other apps to try that are transforming the process. Here are some of our favorite alternatives for a smarter, more simplified and engaging job search! Referred to as “a matchmaker-slash-headhunter in a lab coat,” Good&Co uses psychometric algorithms to help you unveil your biggest strengths, and explore the many sides of your personality with a series of quizzes — all in effort to find you that dream job! If productivity is one of your main concerns, this may be a great app for you! CityHour readily allows you to connect with people who are actively looking to set up a meeting within a 2-hour window, and within 50 miles of your location! Further refine your people search based on commonalities, and sync all your meetings to your iPhone calendar. Once you’ve landed that meeting, this app will help you become fully prepared to answer those difficult questions that may be asked. It provides a series of flash cards and professional suggestions! Keep all your new connections orderly and at your fingertips! Use CamCard to quickly scan your business cards and save all the captured contact information to your phone. Update your own business card and electronically exchange with others at your next business networking event! Have you applied to so many jobs that you’ve begun to lose track of all the details of each? 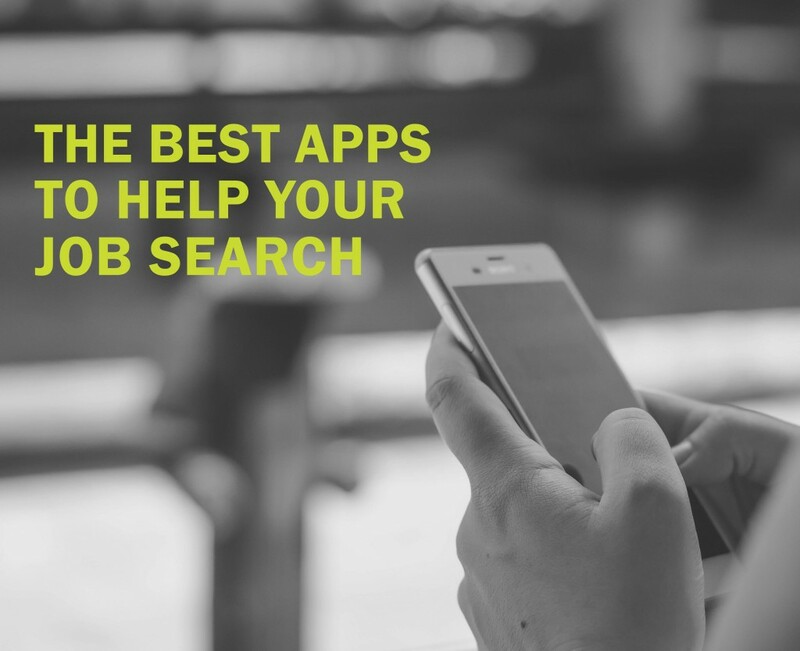 The Rake app allows you to save jobs from various career sites with just one click, and keep track of all your applications in one place! Create to-do lists, take notes, and set up timely reminders to keep your job hunt organized! Check out our KellyMitchell Muse page — We’re hiring and we post new job openings every day! Let’s work together.